​However, repeatedly the White House has been warned that the longer the US avoids serious engagement, the more likely the outcome will affect surrounding states. Turkey, because of its size and power, is considered the most insulated. The Israelis, of course, are considered quite capable of taking care of themselves (though, they admit privately, there are no easy answers for Syria). Even Jordan, despite the refugee flow, has received a fair amount of financial support from the wealthy Gulf States and veteran analysts insist that in what has become a Shia-Sunni struggle, Saudi Arabia will insure that King Abdullah of Jordan does not become a victim. Lebanon is a different matter. Always teetering on the edge of political instability, with Hezbollah openly supporting the Syrian regime, while hundreds of thousands of Sunni refugees pour over the border, Lebanon’s precarious balance may well be the first to go. They are now in the midst of struggling to form a new government that, in the words of one US official, “…will allow them to muddle through.” To which he adds, “It’s the best we can hope for.” The other country most at risk, say US analysts, is Iraq. US officials believe Iraqi Prime Minister Maliki has been too compliant to Iran’s wishes. 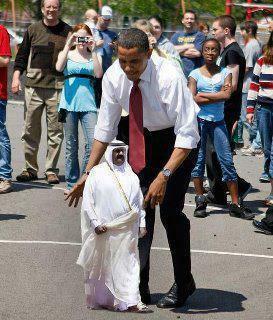 As one State Department official put it, “Maliki, despite what the Saudis might think, is not a pawn of Iran. He can push back and/or avoid complying with their wishes. But this time his calculus is that a Sunni victory in Syria will adversely impact Shia dominance in Iraq.” This “take” presupposes not only continued facilitation of Iranian arms shipments to Damascus but also a further crack down on Kurdish and Sunni minorities in Iraq – a prescription, say State Department veterans of Iraq (and there are a lot of them) for a major increase in violence in that benighted country. …, …. This entry was posted in Jordan, Obama, Qatar, War on syria. Bookmark the permalink.